Wondering whether your child is ready for our Suzuki program? Please read Common Questions Parents Ask and Getting Started, and, to find out more about the Suzuki approach, Intro to Suzuki. 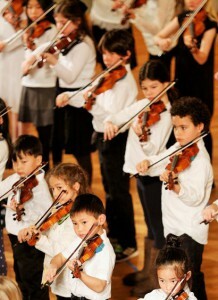 Our string program follows the Suzuki model of instruction. 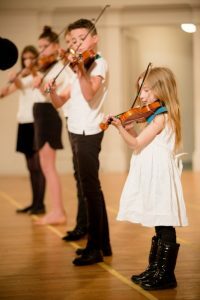 Violin, viola, and cello students have a weekly private lesson as well as a weekly Suzuki group class, with parent classes offered as well. Tuition covers both individual and group classes as both are essential components of a Suzuki education. 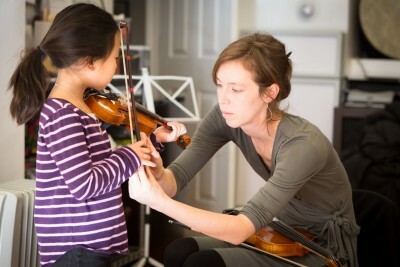 Private lessons are taught by our conservatory educated, Suzuki trained teachers. Students are placed with their teacher after meeting with the Instrumental Department Head. 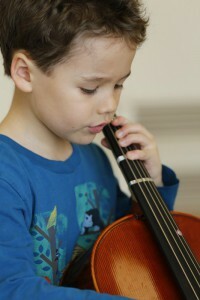 Lessons take place once a week and are typically 30 minutes or 45 minutes. The relationship between a student and their private teacher is often one of the most formative relationships a child will have with an adult. 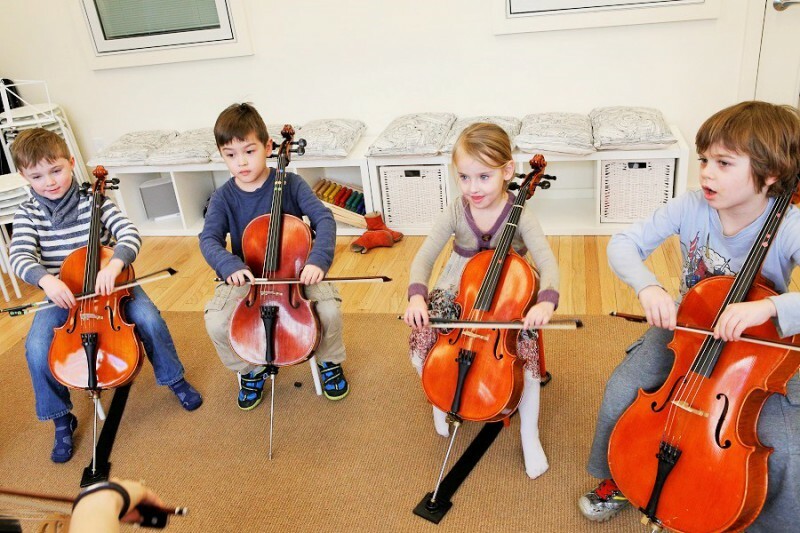 Our teachers have a deep interest in their students’ artistic and personal development and dedicate themselves to helping your child reach their potential. This commitment from our teachers requires a reciprocal commitment on your part to practice with your child every day and attend their weekly lessons. 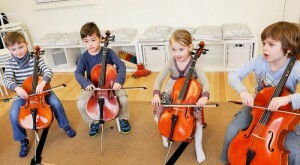 Group class is one of the pillars of the Suzuki approach. 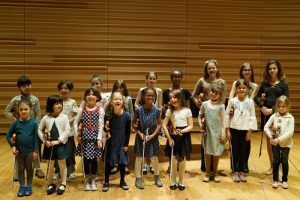 Group is an unparalleled opportunity for students to share their music with their peers, play musical games, play as an ensemble, and last, but certainly not least, get an extra day a week with a teacher! Group size is typically between three and ten students and while the classes are separated by experience, each class is still essentially a multi-level class as every student learns at their own pace. 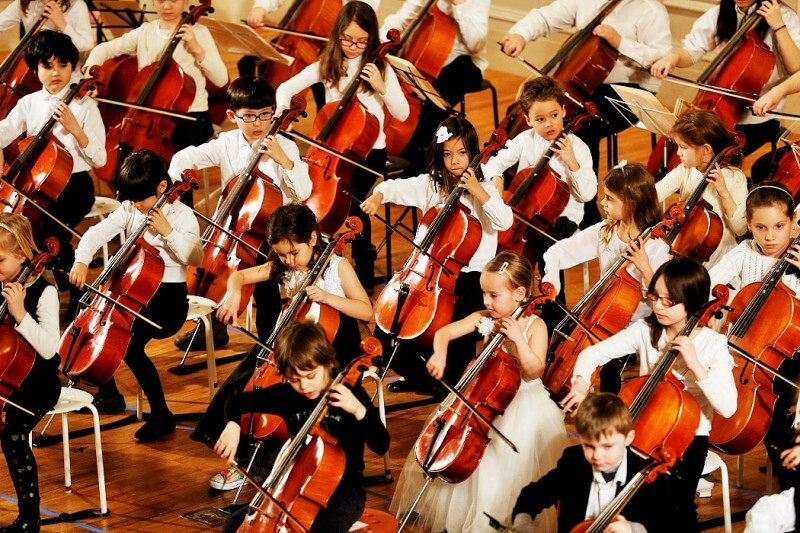 If your child is the most advanced in the class, they will have the opportunity to play consistently throughout the class, if you child is the least advanced, they will have the opportunity to listen and gain knowledge and inspiration about what is coming up next for them on their instrument. No matter where you child is on the spectrum, group class is invaluable and we highly encourage all our families to make attendance a priority. 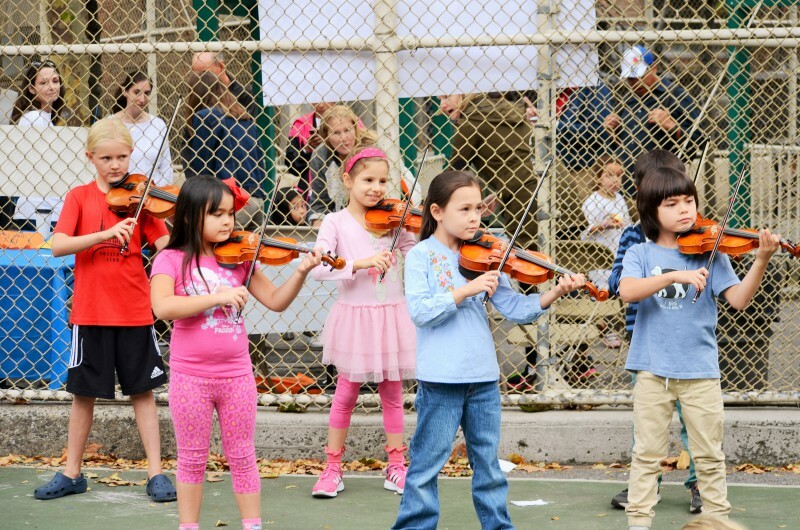 Recitals are held in the Fall and Winter at our school on 72 Street. 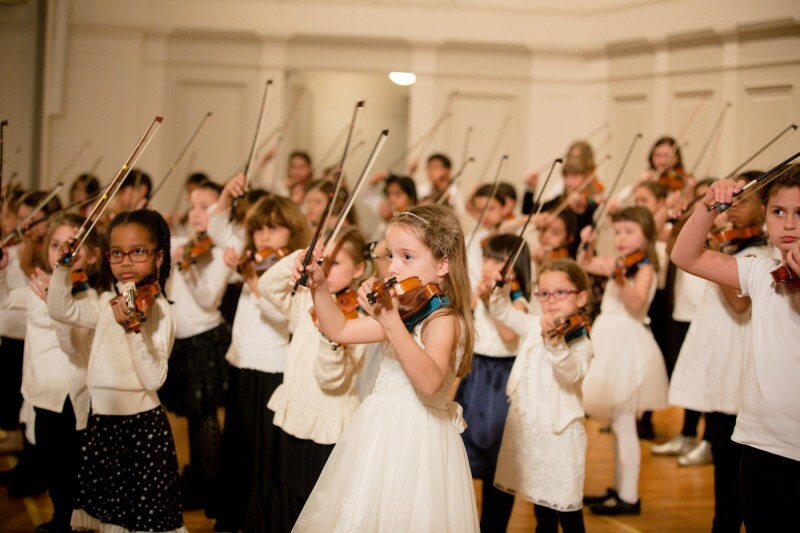 In addition, we have larger Spring Recitals in May at which all students perform. 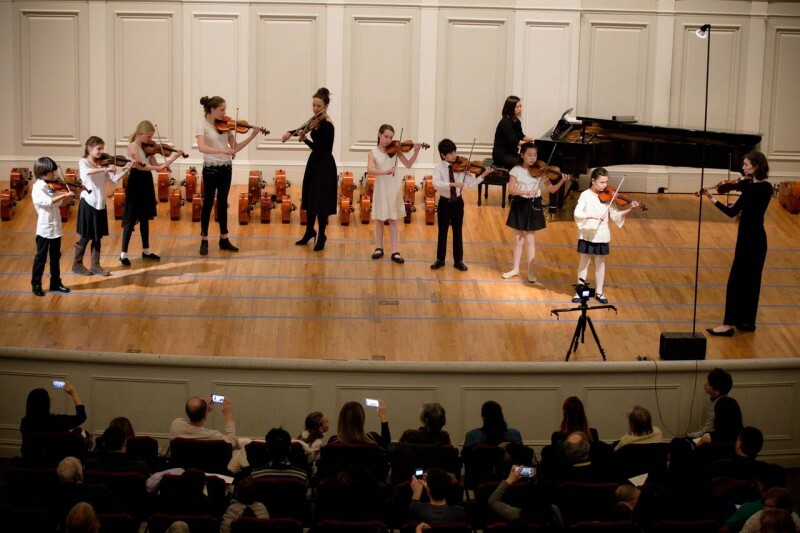 Recitals are formal performance opportunities for all students to perform a solo piece for friends, family, and the Silver Music community. Festival Concerts are held once a year for students. 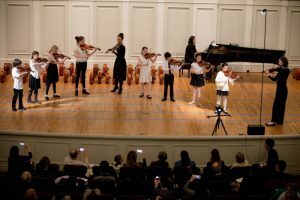 One of the staples of the Suzuki method, a “festival” is a group performance with all the students playing selected pieces from the Suzuki repertoire as an ensemble. 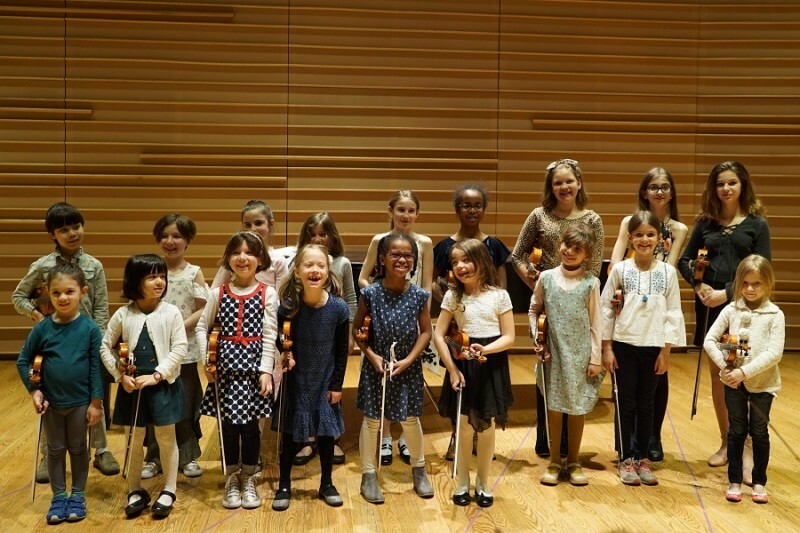 It’s a wonderful aspect of our shared Suzuki string repertoire that our students have the opportunity to make music together right from the start. In order to show case all of our students and to highlight our group music making, we organize the festival as a “play down”; this means that we start the performance with the most advanced students on stage and as we go backwards in the repertoire, each student enters as we get to their “entry” piece. 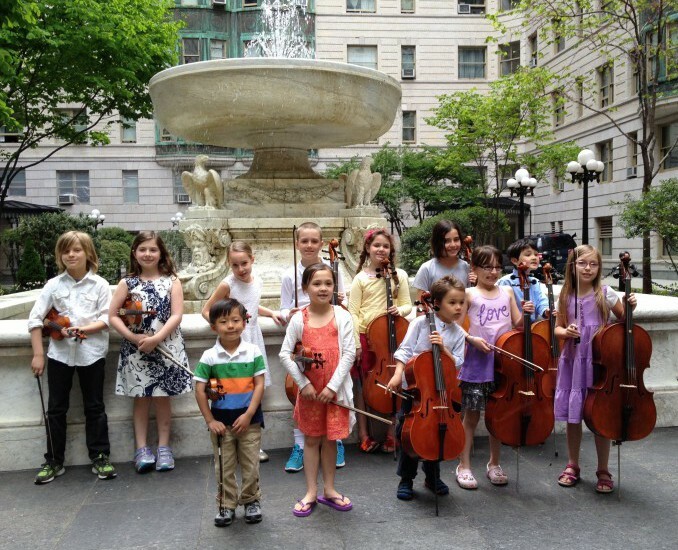 Outreach concerts are opportunities for our students to play solo and group pieces for neighborhood audiences who may not otherwise have the chance to hear a live music concert. To learn about our application process, please see GettingStarted. For tuition and application forms, please see Policies and Registration. Click to view full page video.